Our “Original Cream Top” yogurt is rich and satisfying because we use only whole milk. 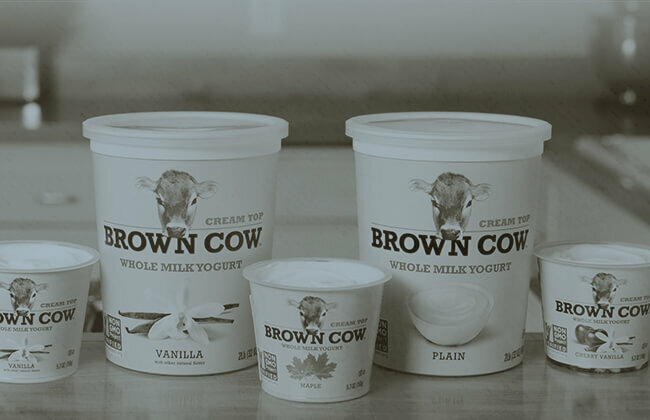 This Brown Cow yogurt is sweetened with cane sugar and maple syrup, and is made without the use of artificial growth hormones, artificial flavors or artificial sweeteners. CULTURED PASTEURIZED WHOLE MILK, CANE SUGAR, MAPLE SYRUP, PECTIN, NATURAL FLAVOR. CULTURES: S. THERMOPHILUS, L.BULGARICUS, L. ACIDOPHILUS, BIFIDUS AND L. PARACASEI. 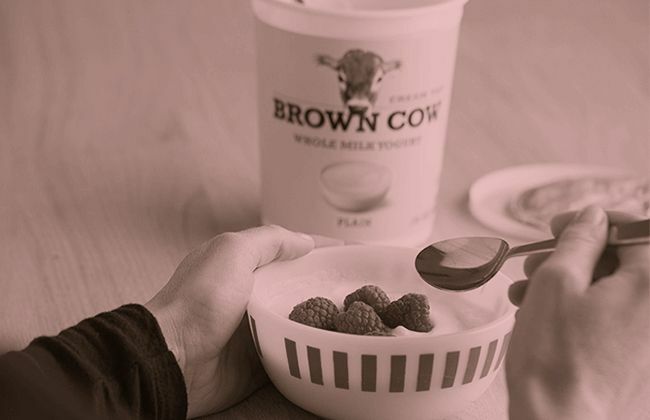 Our Cream Top yogurts are reminiscent of the way yogurt used to be made when rich, smooth cream rose to the top. No artificial flavors here! Only delicious fruit and quality ingredients are added to our yogurts. We sweeten our cream tops with cane sugar and maple syrup, and some with honey. And our cows love us back by providing great milk. Our cream top yogurt is Non-GMO Project Verified…just another reason to indulge. 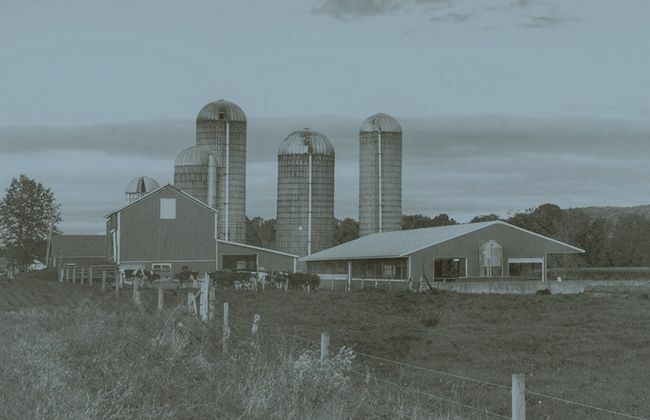 © 2019 Stonyfield Farm, Inc. All rights reserved.